Each year, thousands of patients from around the world travel to NewYork-Presbyterian Hospital to receive medical care from our world-renowned team of physicians and surgeons. Our Global Services team of multi-cultural and multi-lingual Patient Coordinators, Financial Representatives, and Referral Liaisons guide patients through their medical care experience. The team provides patients an unparalleled level of customized service and personal attention every step of the way. 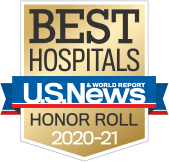 NewYork-Presbyterian Hospital ranks #1 in New York and is among the top ten in the U.S. out of the nearly 5,000 hospitals evaluated by U.S. News & World Report. NewYork-Presbyterian is the only hospital in the United States affiliated with two Ivy League Medical Schools: Columbia University College of Physicians & Surgeons and Weill Cornell Medical College. Our physicians are not only caregivers, they are also researchers, developing the latest medical innovations in their fields while teaching the next generation of physicians. According to the America's Top Doctors survey, published by Castle Connolly, NewYork-Presbyterian has more Top Doctors than any other hospital in the United States. In this survey, more than 300,000 physicians were asked to name peers to whom they would refer family members. Physicians from NewYork-Presbyterian/Columbia and NewYork-Presbyterian/Weill Cornell had more physicians identified than any other hospital.